Creating bespoke masterbatch for hundreds of customers in our fast-paced manufacturing environment requires a great team effort, the determination to meet our customers' needs and a good sense of humour! Throughout 2019, we are shining the Silvergate Spotlight on the people making a difference to ensure you a great customer experience. This month, we introduce Stuart Wood who has recently joined the company. He gives us an insight in the culture here at Silvergate and reveals a hidden talent for making furniture and woodworking. What is your role at Silvergate Plastics? As Customer Compliance Support, I am responsible for assisting our customers with their legislative and regulatory requirements. I also work closely with our technical division to ensure all manufacturing and quality processes are being followed accurately and consistently for quality and compliance purposes. I joined Silvergate six months ago having worked in the high precision engineering industry, specialising in colour management for over twenty years. What attracted you to Silvergate? When the opportunity arose join a company that has continued to grow despite challenging economic times, I jumped at it. Silvergate is a dynamic organisation that has the ability to respond quickly to new trends and market demands; being part of an agile manufacturing facility that is embraces change was very appealing. The culture at Silvergate is very positive; it supports innovation and gives everyone a voice. Being able to express your opinion and know it will be valued is one of the reasons I enjoy working here. Companies can always improve on their processes and the management team here is open to new ideas that could ultimately benefit our customers. The people here are very approachable and helpful, making it a great place to work. What is your response to the single-use plastic debate? I don’t think the debate should be limited to single-use plastics; it should focus on the way we use plastics in general. If people managed the disposal of plastic waste responsibly, we wouldn’t have half the issues we are facing. The plastic waste being found in our oceans should serve as a wake-up call to everyone and remind us that we are all responsible for the way we use and dispose of plastics. My father has always been a role model to me simply because of his dogged work ethic. I worked with him for 15 years and he taught me a lot about what it takes to get the job done and achieve the right outcomes for all involved. What is your favourite thing to do away from work? I have a young family and there’s no better way to spend quality time together than at our caravan on the coast. My children have very active lives and I enjoy encouraging them with their various hobbies. Hard working, efficient and motivated. I don’t think many people at Silvergate know that I make wooden furniture in my spare time. Much of what I make is formed out of salvaged wood, such as old pallets. I have made a huge variety of items for family and friends. It’s a craft I really enjoy. 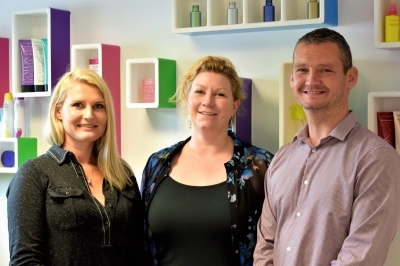 Stuart is pictured his with his Compliance Team colleagues, Dominika Parker and Siân Davies. 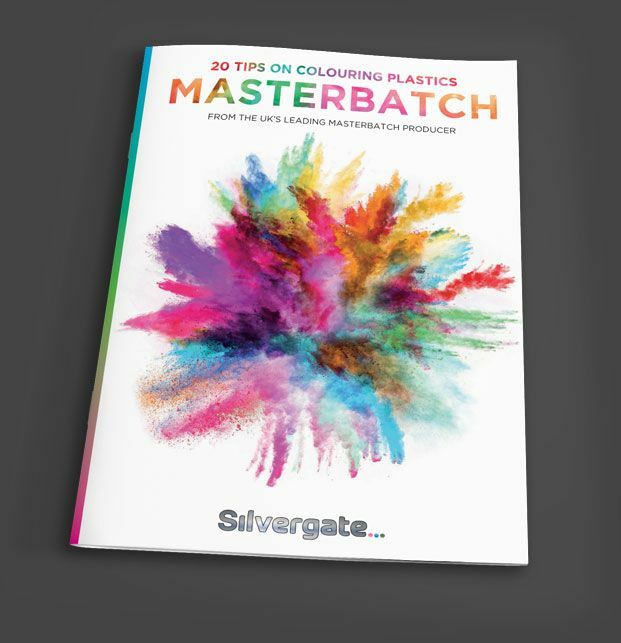 Receive your Free Guide to Colouring Plastics when you sign up for our newsletter! We will only ever send exciting news that you’ll want to read, so what are you waiting for? Sign me up to be the first to read about Silvergate’s product launches, innovations and news! We will never share your information with third parties.